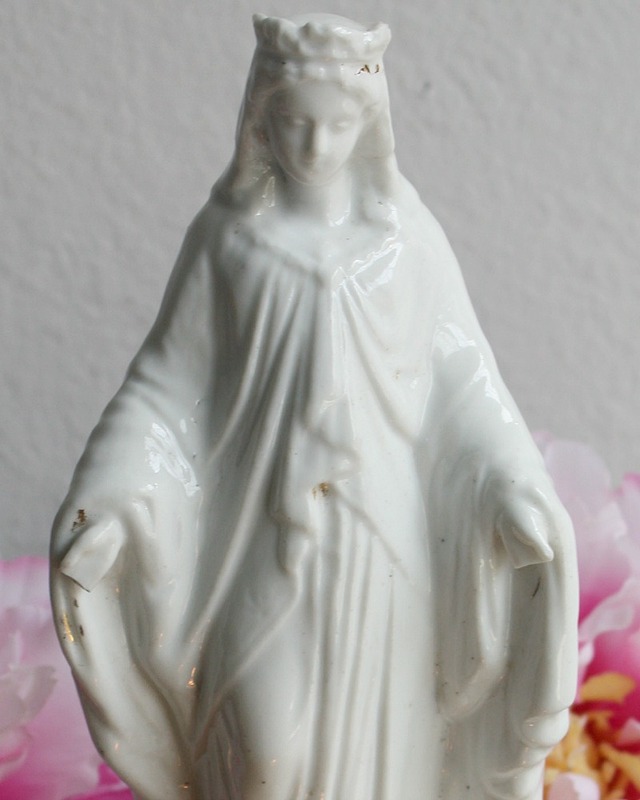 Virgin Mary made in beautiful glazed white Porcelain. This 1800's Madonna is pure white, at one time she had a delicate touch of hand painted gilt detailing but this has all gone over the last century. 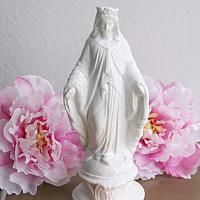 Most likely sold on the steps of one of France's Cathedrals as a more luxurious souvenir figurine than most, figures or statues like this would be used at home by the Catholic faithful in a niche, or on a home altar to revere the Holy Mother of God. She is serene and lovely, but is not perfect, her hands have chipped at the very end. Please only adopt her if you can love her for who she is, and antique. 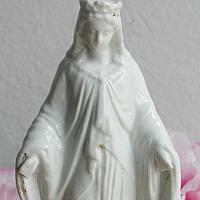 This figurine of the Virgin has a round glazed base. 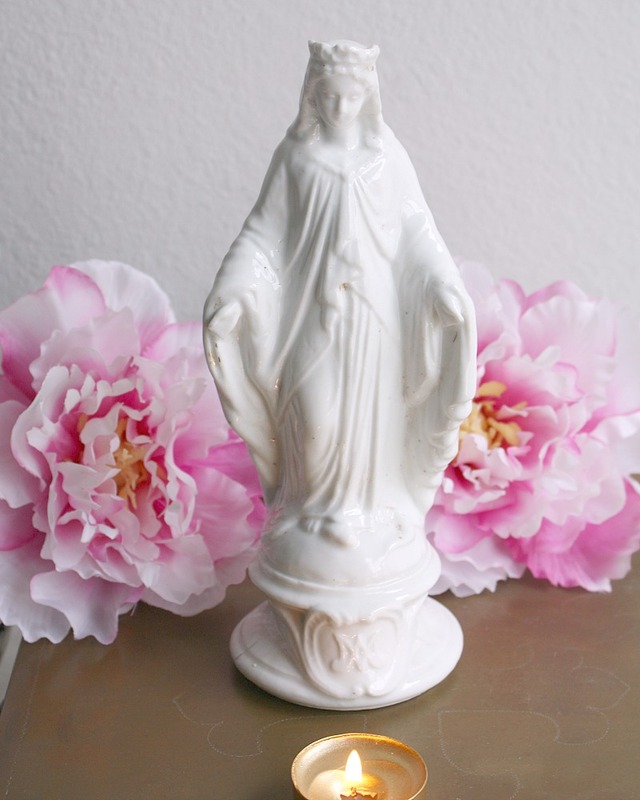 She is a beautiful addition to your collection of antique religious articfacts, santos, and missals. Display her surrounded by flowers and votive candles. Measures 8-1/4" h x 3-1/2" x 3-1/4".